Dairy Industry News - Is Low-Cost the Optimal Choice for Calves? I dropped by Dairy Herd Management and came across an interesting article. For the longest time, I had been wondering if low-cost calf feeding was the ultimate was to improve gains for dairy farmers. I guess the article by guest writer, Robert B Corbett DVM, PAS, answered most of my questions. The cost of raising a heifer is usually calculated as cost per day/head. Many dairies will feed their heifers with lower-quality milk replacer or hospital milk to minimize the cost as much as they can. Other industries like swine, beef or poultry determine their profit by the “cost per pound of gain.” They do what they can to increase the rate of gain of the most minimal amount of cost per pound as this will result in more profit. The ADG or average daily gain is linked to milk production. Therefore, the aim should be a higher ADG, using management procedures and nutritional programs to achieve the goal. This will result in a healthier animal who can join the milking herd at a younger age. The higher the ADG, the lower the percentage of morbidity and mortality. Thus, less labor and medicine costs will be required. Corbett says that calves with higher ADGs will calve earlier and produce more milk than the heifers raised using older programs. That sounds more profitable to me. You can read the full article here. Visit the Continental Search website for jobs in the dairy industry in the United States and Canada, industry news, and updates. Follow #ContinentalSearch on Facebook and LinkedInfor the latest dairy job openings and for other jobs in animal nutrition. 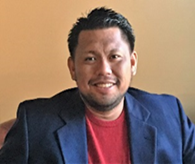 Rick Pascual recruits in dairy nutrition for feed companies and their suppliers across the USA. He joined Continental Search in January 2015 and has successfully filled a number of searches for nutritionists, sales, and sales management for leading companies.